What affects the value of your trade? 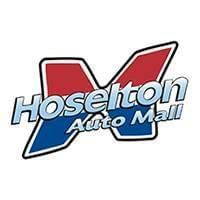 We’re a one-stop shop at Hoselton Auto Mall. We sell brand-new Toyotas, Nissans and Chevrolets as well as hundreds of pre-owned vehicles. Usually if you’re in the market for a new vehicle, you likely have one you’re looking to trade in. So what factors into the value of a trade? Kelley Blue Book, who we use for our online value your trade and instant cash offer tools, breaks it down into two main categories — interior/exterior condition and mechanical condition. Needs servicing, but is still in reasonable running condition with a clean title history. When you bring your vehicle to Hoselton Auto Mall, one of our trained appraisers will perform an inspection on both the inside and outside of the vehicle. As mentioned in the KBB condition sheet, minor blemishes usually wont impact the value however an accident, flood damage or some other major defect could impact the value of the vehicle. After the inspection, the we will test drive your vehicle to check the condition of brakes, tires, as well most other mechanical items. From there, we will go back and analyze the current market conditions. Once we go through these steps, we will be able to present to you the dollar amount we’re able to give you for your vehicle towards the purchase of another vehicle. 0 comment(s) so far on What affects the value of your trade?